KAMU maintains this Web Site as a public service. This statement describes KAMU's privacy and security practices regarding information collected from visitors to the site, including what information is collected and how that information is used. This statement applies to all pages beginning with "kamu.tamu.edu", "kamu.publicbroadcasting.net", "kamu.drupal.publicbroadcasting.net", and "www.publicbroadcasting.net/kamu". 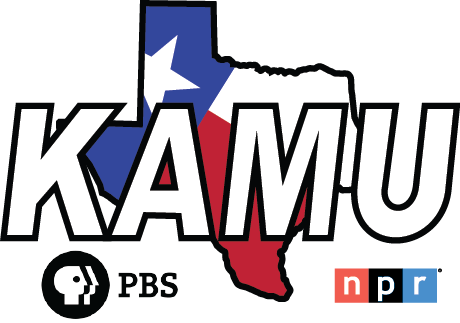 Please note that all information collected or maintained by KAMU is subject to the provisions of the Texas Public Information Act (Chapter 552, Texas Government Code). The identity of members of the public who communicate with state agencies through the Internet is confidential under Texas law. This KAMU Web Site detects certain key characteristics about visitor's browsers in order to display information in a manner that is compatible with a particular browser that is being used by a visitor at a given time. The characteristics currently detected are browser type, browser version, and the operating system or "platform" that the browser runs on. This browser-detection component does not log or otherwise record the findings beyond the visitor's session. KAMU uses server logs and log analysis tools to create summary statistics about Web Site usage to improve site management. The statistics are used for purposes such as assessing what information is of most interest to users, determining technical design specifications, and identifying system performance or problem areas. KAMU does not report or use this information in any manner that would reveal personally identifiable information, and does not release the information to any outside parties unless required to do so under applicable law. KAMU monitors network traffic for site security purposes and to ensure that the site remains available to all users. Unauthorized attempts to upload information, change information on this site, or otherwise cause damage are strictly prohibited and may be punishable under Texas Penal Code Chapters 33 (Computer Crimes) or 33A (Telecommunications Crimes). Except as may be required for authorized law enforcement investigations, no attempts are made to identify individual users or their usage habits. KAMU does not use raw data logs for any other purposes; however, it is possible that parts of raw data logs could be determined to be open records by the Office of the Attorney General. If such a determination were made subsequent to a Public Information Act request for the logs, KAMU would be required to disclose parts of the logs deemed open by the Office of the Attorney General. KAMU adheres to the policy wherein state agencies may not sell or release the e-mail addresses of members of the public that have been provided to communicate electronically with a government body without the affirmative consent of the affected member of the public. Personally identifiable information contained in a question or comment sent to KAMU in an e-mail message or submitted in an online form is only used by KAMU to respond to the request and to analyze trends. KAMU may redirect the message to another government agency or government employee who is in a better position to answer the question. KAMU uses Web-based forms for such purposes as initiating searches, accepting questions and comments, and collecting survey results. Personally identifiable information collected from Web-based forms has a specified use (for example, registration, survey response, etc.) and KAMU uses the information only for that purpose. Each Web-based form contains a link to this privacy statement. This Web Site contains links to other sites. KAMU is not responsible for the privacy practices or the content of such Web Sites. DOES NOT entice, by the prospect of a special game, prize or other activity, to divulge more information than is needed to participate in the activity. An individual who submits information in electronic format through this Web site is entitled, on request, to receive and review the information KAMU collects about the individual, and to have KAMU correct the information. To do this, please e-mail our Web Administrator or use the contact information at the bottom of this page. Our site provides users the opportunity to opt-out of receiving communications from us and our partners at the point where we request information about the visitor. To do this, please e-mail our Web Administrator or use the contact information at the bottom of this page. The U.S. Federal Trade Commission provides information for educating consumers and businesses about the importance of personal information privacy at http://www.ftc.gov/privacy/. Houston at John David Crow Sts.